Get expert insight into your Windows web stack. LeanSentry is back, and better than ever! What do IIS hangs, slow requests, errors, and high CPU have in common? Got slow ASP.NET page loads in your application? 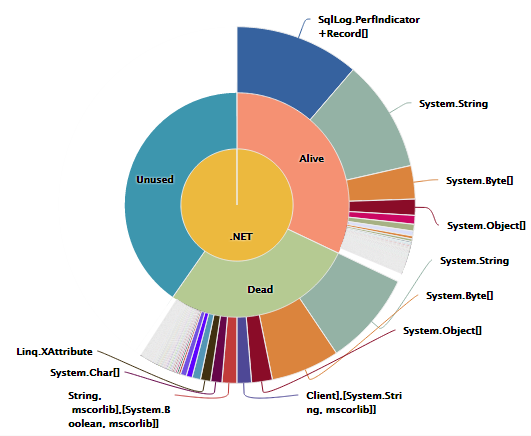 Should you use the a profiler or a debugger to troubleshoot them? We put together an infographic to help you decide. It also mentions a third approach using ETW tracing, which is what we used for LeanSentry’s new slow operation tracking feature … and the benefits it has over traditional debuggers or profilers. We just announced our new slow operation tracking feature, which uses ETW tracing to give a complete coverage of slow operations. It combines a lightweight tracing library, intelligent filtering, and very fast ETW tracing, and an awesome report in the LeanSentry dashboard. The result: a much better way to track what causes slow page loads in ASP.NET applications than the traditional profiling or debugging approach. Unlike a profiler, we can trace every single slow operation, as well as its stacktrace and custom application variables, without losing it to averaging. Unlike a debugger, we can get continuous coverage of all your requests, not just the ones you happened to catch when you were debugging. Unlike both, its fast enough for 24/7 monitoring in production and gives 100% coverage of all your slow requests. If you think “OMG that must be so slow” when you hear tracing, think again. ETW tracing is pretty much on all the time in your applications, and is tons faster then any other custom-built tracing mechanism you may already have going on. In fact, most apps can turn on ETW tracing and probably never realize its there. Most importantly, you decide which operations to trace! You can add more or fewer trackers to your code to get more resolution. Of course, LeanSentry does some extra stuff under the covers to make the most of this. We know what makes a request slow (you configure per-URL response time thresholds), automatically determine which operations are slow so we don’t trace everything, and provide a near-realtime report to you. Learn more about LeanSentry’s new operation tracking feature – based on the ETW tracing approach the infographic mentions. Check out the demo video here! Try slow operation tracking in your own apps when you get a LeanSentry trial account. Previous Previous post: New pricing announced! Next Next post: Fix ASP.NET problems FAST with Troubleshooting Tasks!